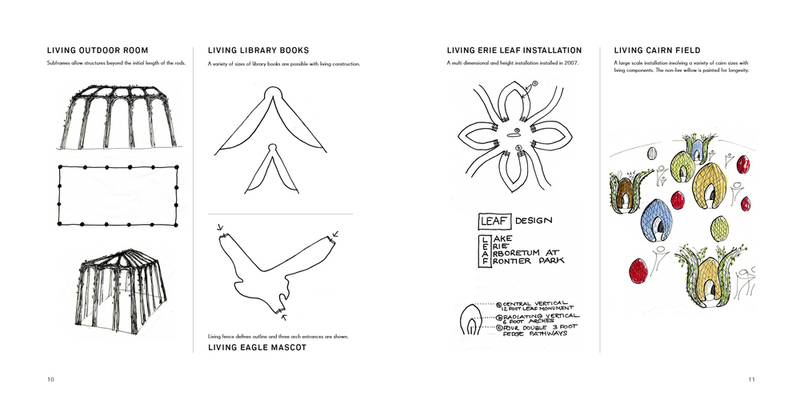 Bonnie Gale has published her first book in April 2014, entitled "Living Willow Form: Creative Insights of Willow Artist". 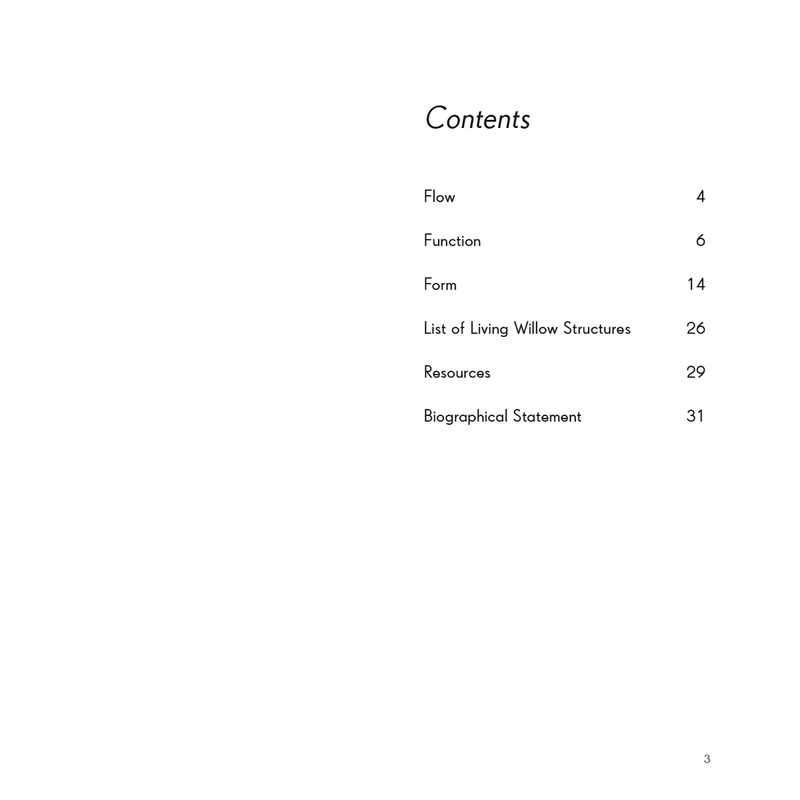 This book is the culmination of ten years of work, creating living willow structures and explores the resultant insights. There are three main chapters: Flow, Function and Form. Flow discusses the spiritual roots of her work. 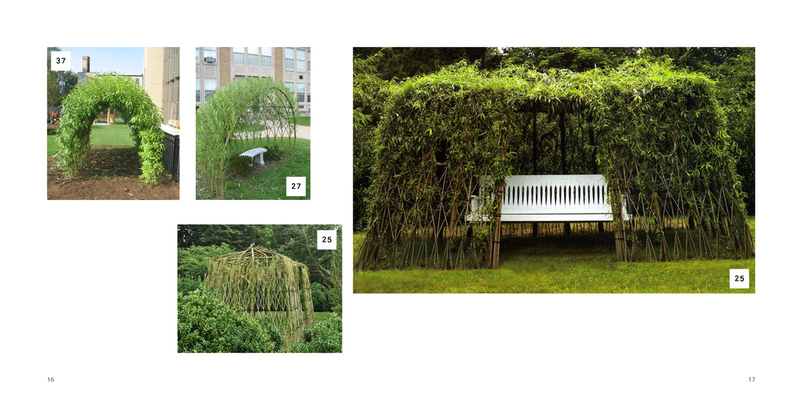 Function describes the parameters of the wonderful functionality of willow for living structures and then includes six pages of drawings, moving from living fences to mazes, arches, tunnel , arbors, gazebos to then outdoor rooms and specialty design installations . The Form chapter includes a multitude of images of the resultant structures. 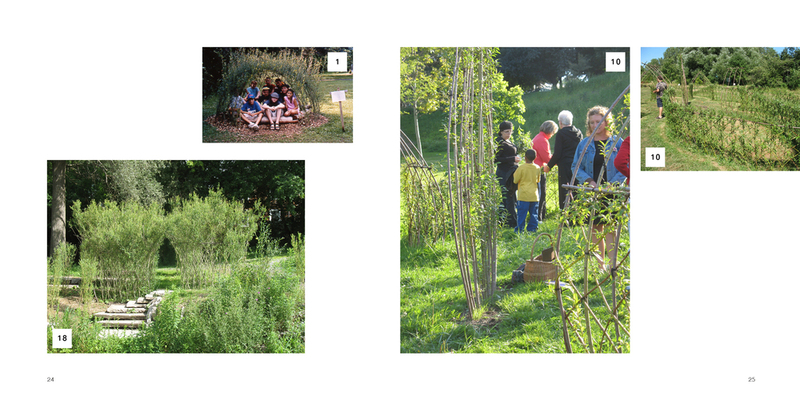 In addition, there is a List of her Living Willow Structures to date, Resources and Biographical Statement. The book has 32 pages and is in a 8.5 inch square format. 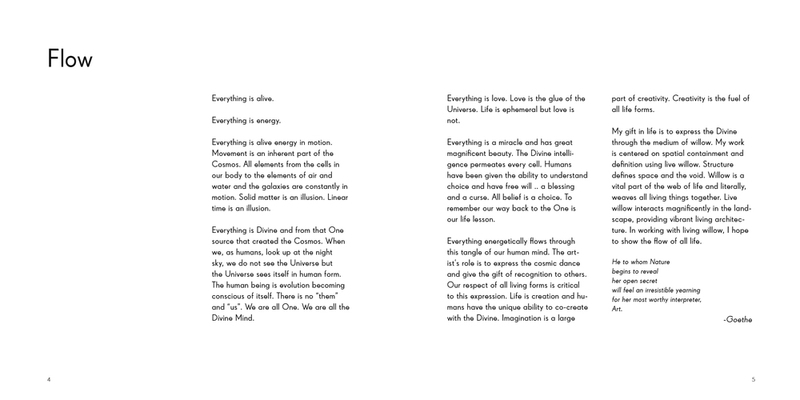 The book is proudly printed by Rolling Press in Brooklyn, New York on 100% recycled paper, locally sourced, non-toxic inks using wind energy. The cost of the book is $20 which includes a personal dedication of your choice and signature and date from the artist. Shipping is $8.50 and so please send a check for $28.50 payable to "Bonnie Gale" at 412 County Road 31, Norwich, NY 13815. If you wish to pay by Paypal, please send $30.